Schön eingerichtet Eigentumswohnung für vier Personen mit zwei Schlafzimmern und einem Bad Ferienwohnanlage. Günstig gelegen, nur einen Block entfernt von der Emabarcadero, es ist und einfach und nicht weit entfernt von Restaurants, Geschäften und Strand. Morro Bay State Park ist eine halbe Meile nach Süden, mit Morro Rock nur eine Meile nach Norden heraufziehen. Viele schöne Wanderungen warten! Alle Bettwäsche sowie eine gut ausgestattete Küche für Ihre convinience zur Verfügung gestellt. Es gibt so viele Dinge zu tun, ebenso wie Orte zu gehen, und Sehenswürdigkeiten in diesem Bereich zu sehen, dass Sie keine Schwierigkeiten haben wird Ihre Abenteuer zu planen. Der Strand ist nur ein paar Blocks entfernt für Spaß in der Sonne und Surfen. Cambria ist etwa 20 Minuten, mit Kunstgalerien und Restaurants in Hülle und Fülle. San Luis Obispo, mit dem weltberühmten Mission de Tolosa und The Performing Arts Center ist 20 Minuten von Morro Bay. San Simeon, dem Tor zum Hearst Castle, nur 40 Minuten. Sie werden mehr als 70 feine Weingüter in der Region, viele davon preisgekrönten 'gefunden. Paso Robles bietet im Oktober eine "Harvest Wine Tour" und eine der besten State Fair-Messen in Kalifornien an. Open all windows aired out and sprayed Lysol. We brought are own towels and dish towels. Looking forward receiving cleaning deposit back. Have Referred a few people ! The condo has a nice location, but it smells very mildewy, even by coastal standards. Very clean and felt like sleeping at grandmas house. Beds could use replaced and some updating throughout but overall a great place to stay. This rental property is comfortable, and reasonably well provisioned. But the overall feel and quality of this unit and furnishings is aged, worn and creaky. The beds are squeaky and worn, and the pillows are disgusting and unhygienic - well past their expiration date, covered with orange sweat and drool stains. The kitchen is in solid shape, but is the original 70's counter top and cabinets. While the microwave is 'only' 10-15 years old, the fridge appears to be at least 30-years old, constantly running even with both freezer and fridge settings set to minimum; we were forced to actually turn the fridge off when we wanted silence at night. The heating and cable/dvd all work, but none of this is terribly intuitive. No instructions were provided for setting the heat, or for managing the TV 'salad' of remotes. All of the window blinds are flimsy and one hard-tug away from falling off. The location and off-season rental price attracted us to this property. We appreciate that the owners have made considerable effort to provide a viable vacation rental property. Without upgrades to the beds (especially pillows), and a bit more thought into guiding renters to actually operate the premises, we might consider looking at other properties nearby for our next Morro Bay visit. we regret that your stay was a disappointment. It is true that this condo is older and not so new anymore, however, the owners have sought to make it attractive and comfortable. There were new pillows in the closet in plastic bags (new) for tenants use, maybe it was overlooked. We appreciate some of the feedback, but frankly do not understand all of it, as instructions on DVD and heating system were in the guestbook, bedroom blinds are new and the microwave works perfectly. 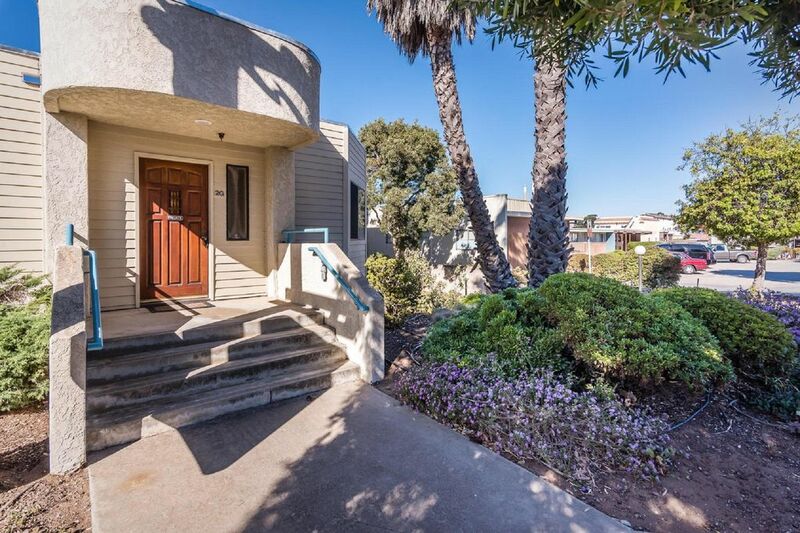 In any case, we hope your they were able to enjoy beautiful Morro Bay and the convenient location of this condo. We wish you a happier stay next time. We had a great week in this condo. Just a short walk to the Embarcadero, restaurants and Morro Bay movie house. The property has all the features that you could ask for to make your stay delightful. A nice sized tv with internet, a well stocked kitchen and two nice recliners. The only down side is the master bed is only a queen and I guess we’re spoiled with our Cal King at home. My wife and I will stay here again, especially if the bed is upgraded.